Entrepreneurship programs teach students how to start, develop, grow, and maintain their own businesses. If you have a dream of owning and running your own business – or you already own your small business – these programs are for you. Small business ownership is the backbone of the American economy. According to the United States Small Business Administration (SBA), small firms with fewer than 500 employees represent 99.9 percent of the 29.6 million businesses in the United States. Small businesses employ just over half of all private sector employees, pay 44 percent of total US private payroll, generated over 60 percent of net new jobs in the past 15 years, and creates more than half of the nonfarm private gross domestic product (GDP). As you can see, when you join the ranks of small business ownership, you will become one of the pillars of the free enterprise economy. Plus, you could be on your way to a life of financial freedom and happiness. Online courses in entrepreneurship and small business ownership can teach you the skills and methods to launch a new enterprise, take over an existing business, or become a dynamic manager who can make a difference in a small business. You can learn about business plans, finance and accounting, government contracting, tax, organizational efficiency, marketing, and e-commerce. Programs include online MBA in entrepreneurship, online bachelors and online certificate programs. There are also numerous stand alone online courses in various areas of entrepreneurships offered by accredited online colleges, corporations and reputable small firms. 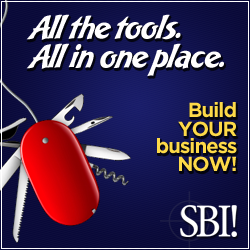 The US SBA offers a few free online courses through its Small Business Training Network.